The Christmas Day Lunch or Dinner in Australia is a time-honoured family activity based largely on the traditional practice in the UK and US. Whether you choose to dine on festive familiars like ham and turkey, go seafood with prawns, crays and oysters or put on a barbeque with steaks and wings, the Christmas meal is an opportunity for families to come together and enjoy time together. As more dining venues tap into the festive season and serve up a wide variety of Christmas Day meals, more people are choosing to sit back, relax and leave the cleaning up to someone else. Whether you decide to dine affordably or in fine style, here are 10 top places to enjoy lunch or dinner in the world's most liveable city on Christmas Day. Located in the heart of East Melbourne and overlooking Fitzroy Gardens, GG offers the enjoyment of the shared table and food inspired by European flavours. The local European restaurant is serving up a 4-course set menu featuring traditional festive treats. Choices include shaved Christmas ham with torn figs and buffalo mozzarella, pea tortellini with grilled prawn and lentil sprouts in tomato broth, turkey rotisserie with duck fat potatoes, honeyed pumpkin and cranberry jus, profiteroles with cherry ice cream, sugared almonds and hot chocolate sauce, and many more. Visit the website for more information or phone 03 8415 0411 to book a table. Guy Grossi's Italian 'osteria' is best known for its relaxed and informal dining environment with good food, wine and great company. Merchant Osteria Veneta will be celebrating Christmas Day with some of the most popular Venetian dishes. You can enjoy a 4-course lunch menu that includes a chicheti to share with your choice of entrée, main and dessert. Keep an eye out for Santa. Children under 13 years can order from the 'a la carte' menu available on the day. Visit the website for more information or phone 03 9614 7688 to make reservations. 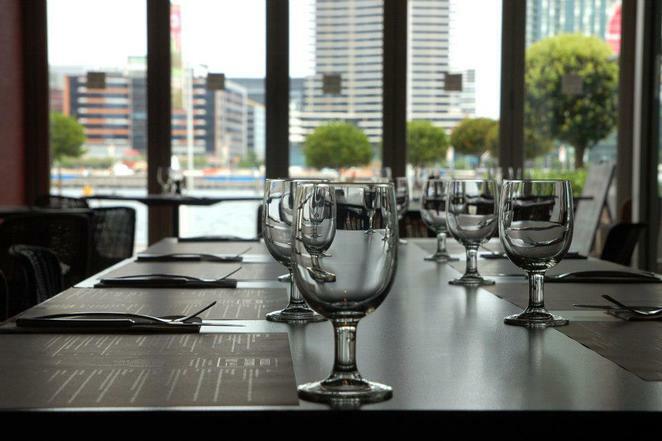 This modern Australian restaurant offers views of Melbourne's waterways and a large variety of steaks on the grill in Docklands. You can take in the views of Victoria Harbour while enjoying a Christmas Day Lunch consisting of a starter, entree, main and dessert. The selection include seafood roulade of spanner crab, Tasmanian smoked salmon and prawns with avocado and sweet corn, 220 grams Southern Black Angus eye fillet with buttered potato mash and truffled mushroom sauce, twice cooked Berkshire pork belly with kipfler potato, apple and balsamic cider sauce, traditional Christmas pudding and many more. There are 2 sitting times starting from 11.30am to 2pm and 2.30pm to 5pm. Phone 03 9640 0808 or visit the website to make your booking. Overlooking the banks of the Yarra River, World Restaurant & Bar offers a relax atmosphere with an internationally inspired menu, extensive drinks selection and live local music. On Christmas Day, you can enjoy city views on the open-air river terrace or dine in the restaurant for lunch or dinner. The lunch menu features 3 courses and a glass of bubbles from 12pm while dinner features a limited a-la-carte menu from 5pm till late. Kids age 10 years and below can enjoy a menu and activity pack. Visit the website for more information or phone 03 9690 6999 to reserve your seats. Located in East Melbourne, directly opposite the Melbourne Cricket Ground and the beautiful Fitzroy Gardens is Hilton on the Park Melbourne. The hotel is serving up a Christmas Day Dinner Buffet will all the trimmings of seasonal seafood, carving and hot stations, salads and festive desserts from 6pm to 10pm. Highlights include fresh prawns, oysters and crab, honey-glazed ham, roasted turkey, slow-cooked wagyu bourguignon and many more. Phone 03 9419 2000 for more information or visit the website to book your seats. One of the city's most luxurious hotel with history and character is serving up a lunch buffet and 3-course set dinner on Christmas Day. Head over the Alluvial Restaurant in InterContinental Melbourne The Rialto where lunch from 12.30pm to 3pm features festive favourites including roast turkey, fresh seafood and Christmas pudding along with beverages. Dinner from 6pm to 10pm offers choices of traditional dishes, seafood and vegetarian options with accompanying beverages. Phone 138 388 or visit the website for more information and bookings. Located at the 'Paris end' of Collins Street is Sofitel Melbourne on Collins, home of No. 35 restaurant. This is where you can arrive in style with a glass of Taittinger Champagne and enjoy stunning views of the city from level 35 of the hotel along with your Christmas Day Lunch or Dinner. The restaurant serves up an extensive lunch buffet with prestige beverages, live music and a gift for the kids while dinner features a 4-course menu. Phone (03) 9653 0000 for more information and to make reservations. Christmas Day Lunch and Dinner are festive indulgences at The Langham in Melbourne. Its Melba restaurant is serving up a 5-star gastronomical journey for lunch filled with fresh seafood, Japanese sushi, European recipes and festive desserts prepared in open kitchens. Be entertained by roving performers, Christmas carollers and Santa will visit the kids with gifts from 12.30pm to 4pm. Dinner is not less extravagant with over 40 different festive and cultural dishes including Italian, Japanese, Indian and Western, and a visit from Santa and carollers. Both lunch and dinner are accompanied by a wide selection of sparkling, red and white wines, beers and soft drinks. Phone 1800 641 107 for more information and to book your table. Melbourne Zoo Events provide guests with the opportunity to enjoy restaurant quality meals in unique wildlife inspired venues. Head over to Melbourne Zoo this Christmas Day with family and friends to experience lunch in its manicured gardens and worldwide habitats that are home to a wide variety of animals. The special occasion includes 3 hours of premium beverages to accompany a 3-course lunch, coffee, tea, petit fours and a visit from Santa from 12pm to 3pm. 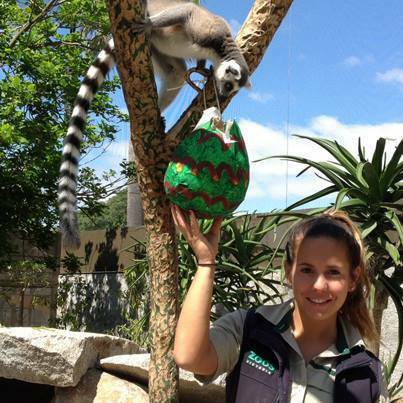 Your lunch also includes FREE entry into the zoo from 11am onwards. Phone 03 9285 9440 for more information or email melbournezoofunctions@compass-group.com.au to make reservations. 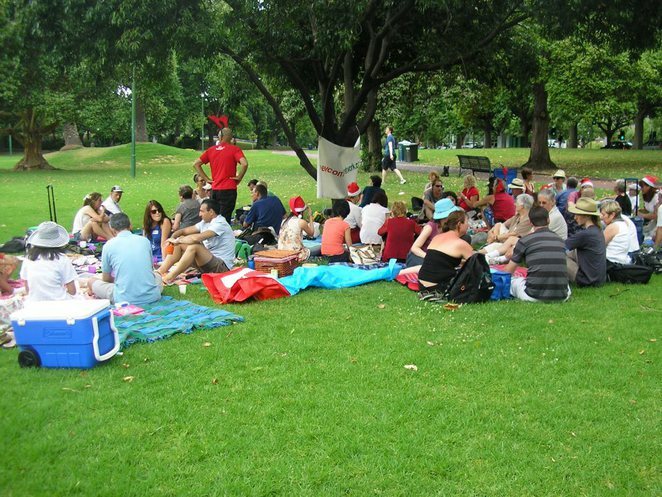 If all the costs of a Christmas Day feast is weighing on your wallet or purse, there's always the annual Christmas Day Picnic in Queen Victoria Gardens by the Melbourne Social Club and Newcomers Network. While you'll have to organise your own food and festive paraphernalia, this community event is FREE for everyone to attend from 12pm to 3pm. It is also an opportunity to share the festive cheer and make new friends by sharing food and stories. 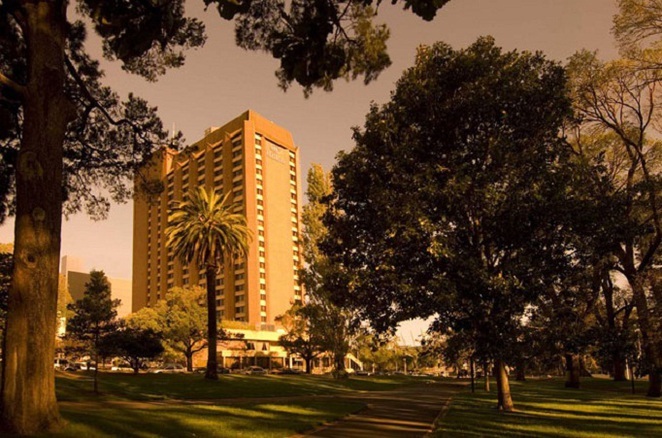 The event is located in Queen Victoria Gardens just opposite the National Gallery of Australia and can be identified by a Melbourne Social Club or Newcomers Network sign hanging from the tree in the gardens. Phone 03 9111 0121 for more information. Booking is essential via the website. Busby's at Buckingham Best Western has a good one on; not too luxuriously priced. Last year 2016 I thought if going to the Zoo however I heard from lots of random people and those I knew NOT to go to the Zoo on Xmas Day. Why? Thousands of people attend on that day and even the Melbourne Zoo often gives the heads up " that Christmas Day is the most busiest day on their yearly calendar. Having read that I decided not to go bc you wouldnt get a car park and there might be queues everywhere. I drive around everywhere last year trying to find somewhere to eat or buy food to get into the Spirit but the only place I found was Red Rooster locally. Yep I appreciate it costs to open and might be a bother but if you wanted to eat out it costs a lot of money plus you have to book in now! Is there an updated list of cafes or restaurants or eateries open on Christmas Day in Melbourne Sth East or St East or other places that don't cost a fortune and perhaps welcomes single diners for Christmas 2016? I'd just like one or two courses. The zoo sounds fantastic, although pricey. My family is going out for Christmas lunch for the first time ever this year. We will be at Sage in Berwick, our favourite restaurant, as this is local and means we can gather at home for presents first.